The fourth horse is described with a few different colors. Often it is described as “pale”, but one explanation called it green, as in the sickly green color that I don’t really want to describe further (as I hope to make you hungry with my posts). 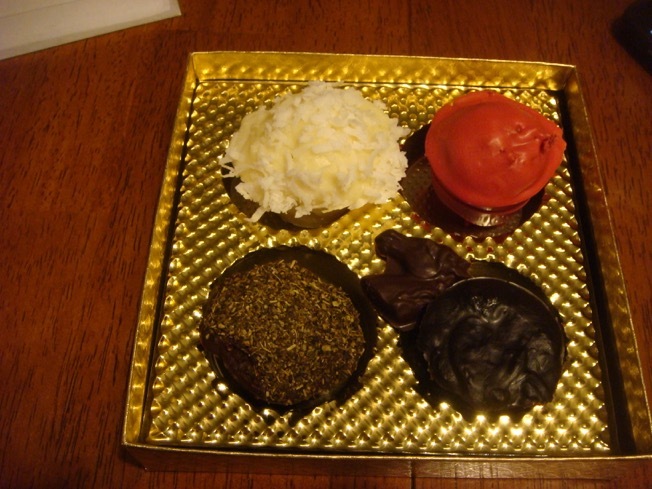 Here is another box of the truffles, this time with a brown horse’s head. 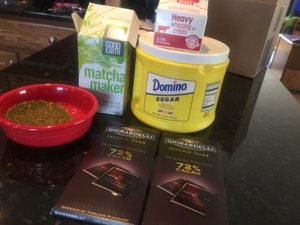 Ghiradelli 73% dark chocolate is a good match for the matcha green tea. Starting the truffle. Cream and tea. Into the silicone molds. This makes it soooooo easy. When popped out they look like mini-brownie bites. I dipped only the tops and then pressed them into a cup of matcha green tea. You’d think the tea wouldn’t work, but it really does. 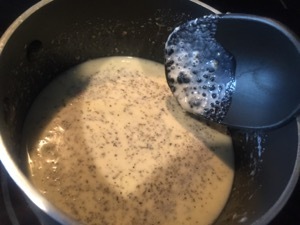 Combine cream, sugar and 1/2 teaspoon matcha green tea in nonstick sauce pan and whisk to blend. 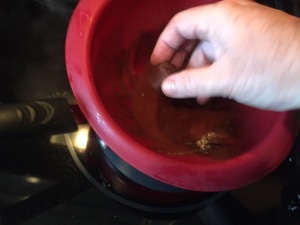 Bring to a boil, stirring constantly; remove from heat. 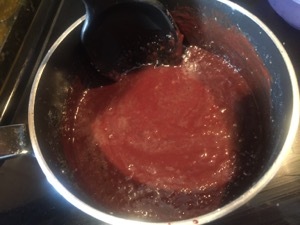 Immediately add 5 ounces fine chopped chocolate to hot cream mixture and gently stir to blend. 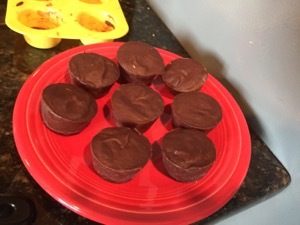 Spread chocolatecream ganache mixture in shallow dish and refrigerate until firm to touch. 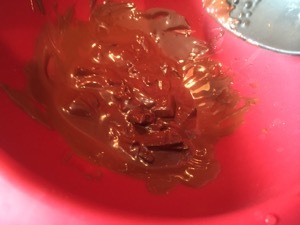 Melt 2 ounces chopped chocolate in top of double boiler. 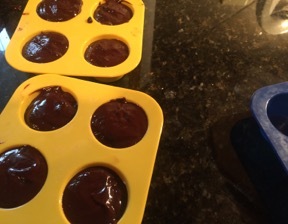 Dip frozen truffles in chocolate to lightly coat. Cool. Roll cooled truffles in matcha green tea powder to lightly coat. Store truffles in refrigerator until ready to serve.